I'm Mexican. 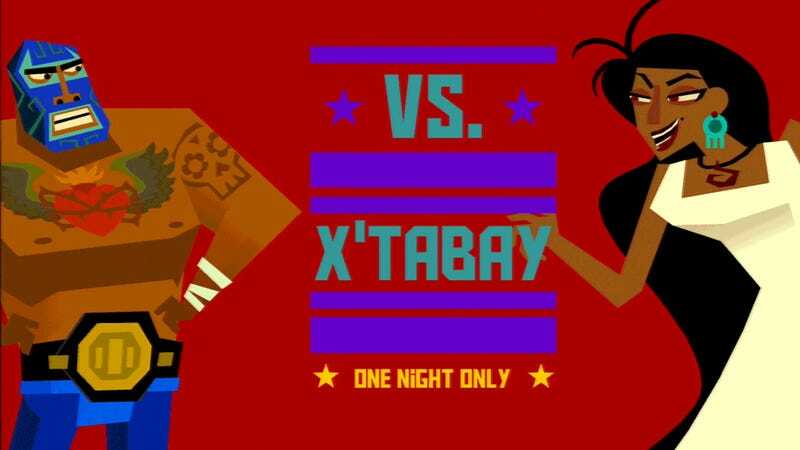 Am I Supposed To Be Offended By Guacamelee? I grew up here in California and consider myself culturally Mexican and Chicano, but what this means is far more vague. I have created a self-identity that incorporates aspects of the already voluminous “Mexican culture,” just as you have undoubtedly formed an identity out of the diverse cultural influences you grew up around. A Mayan calendar hangs on my wall opposite a poster depicting the cover of Le Petit Prince (a french children’s novel everyone should read). I am multitudinous. "Culture is unique in that its shareable yet simultaneously subjective." "So here I am, a Malinchista, playing a game made in Canada, by a team mostly comprised of Canadians, laughing at a farcical luchador who gets his powers from a talking goat." Am I offended? I don’t know. That’s the wrong question to ask. Reactions to cultural portrayals are deeply personal. We are better off asking: What does the game do right? What does the game do wrong? And is the game made with care? Jorge Albor is the co-creator of Experience Points, a website dedicated to the serious, but not humorless, analysis of video games and culture. He and his fellow co-creator, Scott Juster, strive to find a happy medium between the academic, real, and virtual worlds by producing written features and a weekly podcast.